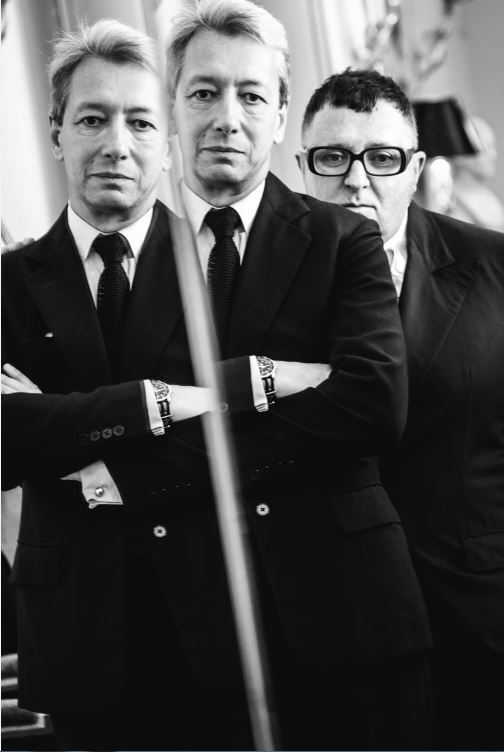 We are delighted to unveil Superstitious, the Editions de Parfums perfume born of the friendship between renowned perfumer Frédéric Malle and illustrious fashion designer Alber Elbaz. Superstitious, an extraordinary floral aldehydic, is inspired by the scent of a dress: elusive and unidentifiable, one of life’s mysteries. More than a collaboration, the unique fragrance is the result of a convergence of creative vision, mutual admiration and respect. Malle had admired the work of Elbaz at Yves Saint Laurent and Lanvin for years. Elbaz was known to give the unique fragrances of Editions de Parfums as gifts. They have many friends in common. However, the two had never met until Malle recently overcame his reserve to invite Elbaz to lunch, where they found they’d met their match. Working with Dominique Ropion, they developed a floral aldehydic perfume that exudes natural elegance with notes of warm amber and deep vetiver. A visual representation of their intensely collaborative process can be seen on the chic black and gold packaging. The eye symbol was drawn by Elbaz during a brainstorming session, and the printed handwriting is his own, too. 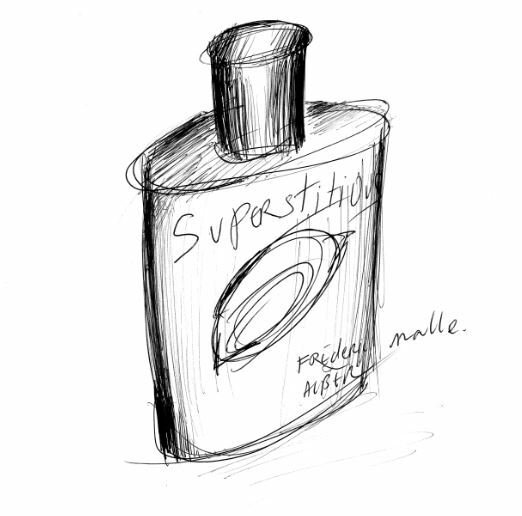 They knew almost immediately that their perfume would be named Superstitious. “In a world where life is programmed, organized and logical, Alber sees the irrational – neglected everywhere we are and in everything we do – as essential. Beyond words, images and reason, we must let ourselves be guided by a sixth sense – by our superstitions – free from judgement and unsuppressed. We must let ourselves go. We must trust our instincts,” says Frédéric Malle.